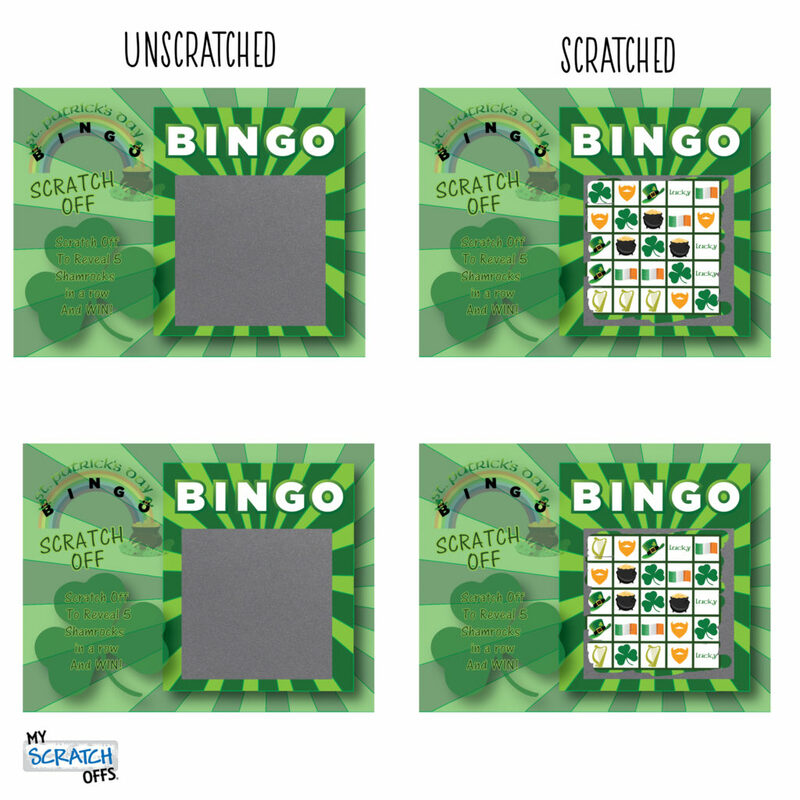 • Card features a BINGO design and comes with one 2” Silver Square Scratch Off area. • Sold in packs of 26 Cards with 24 non-winning cards and 2 winning cards. Winning card will be the top card in the pack. Additional Winners are also available for purchase. 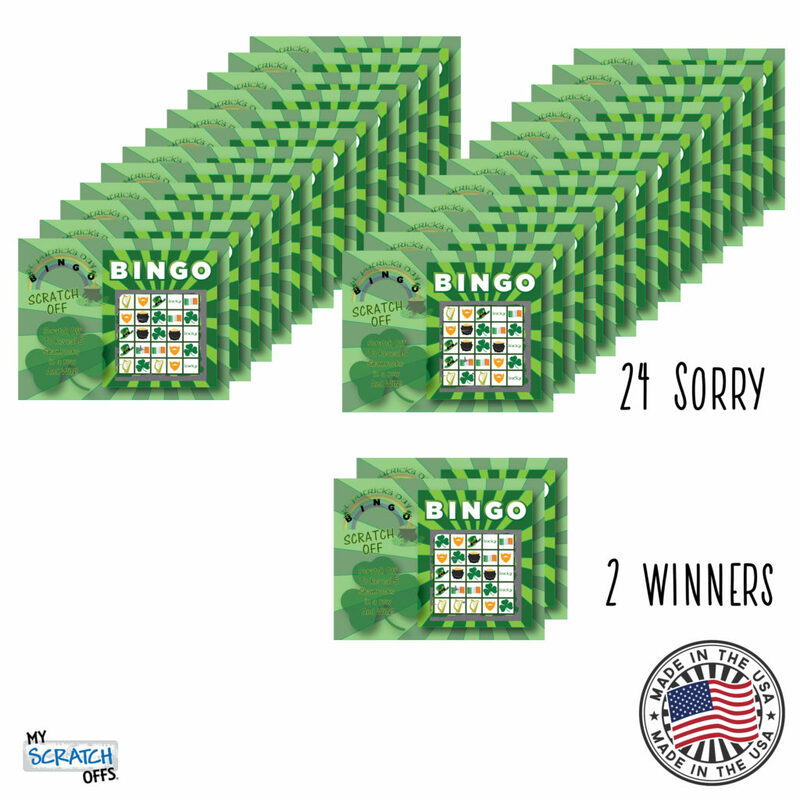 All Additional Winners will be packaged separately. The 2 Winning Cards reveal 5 Shamrocks in a row (Diagonal). • Don’t forget to enclose your Cards in our Mini Envelopes! ST. PATRICK’S DAY THEME: Whether you are Irish or just want a shamrock for luck, St. Patrick’s Day is a fun holiday to celebrate. If you are planning a family game night or a get-together with friends, it is good to plan some activities that match your festive decorations. 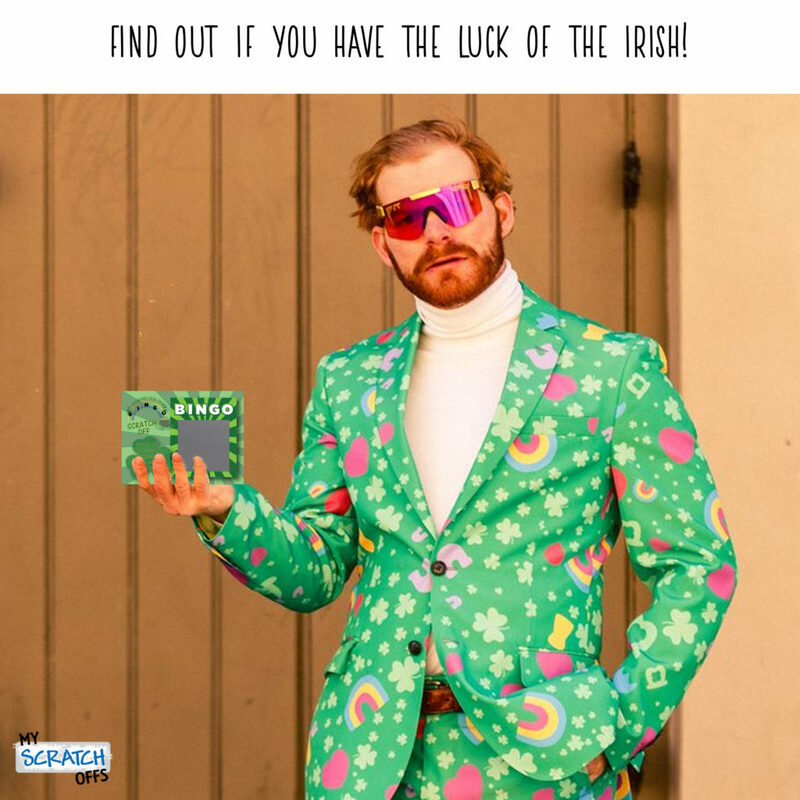 Our St Patrick’s Day scratch-off bingo game is the perfect ice breaker to get your guests in the spirit of Saint Patrick. 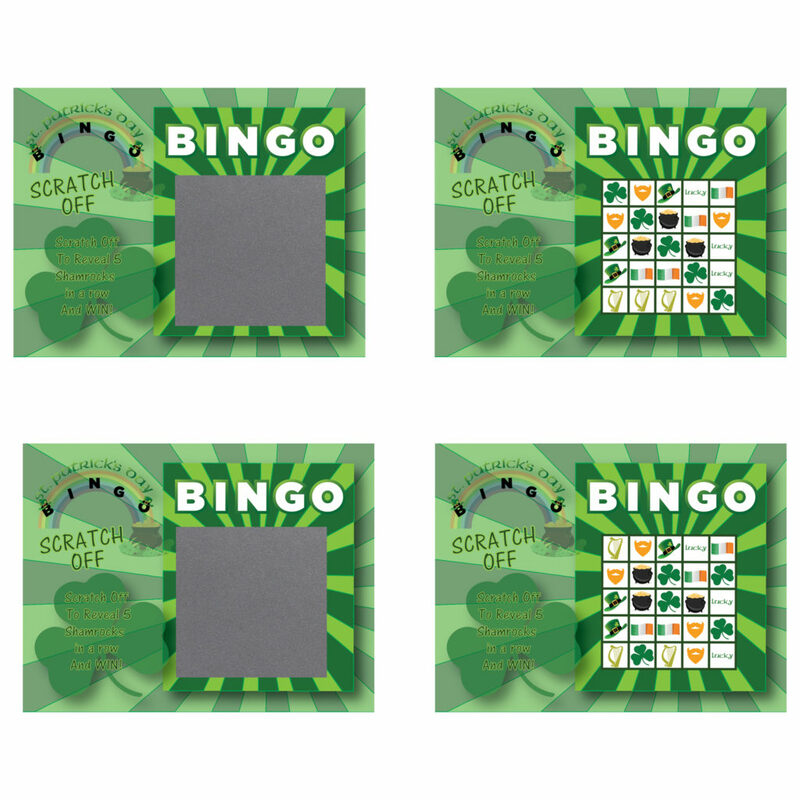 FREE GIVEAWAY GAME FOR EVERYONE: Adults and kids (3+) will enjoy this exciting game of bingo! 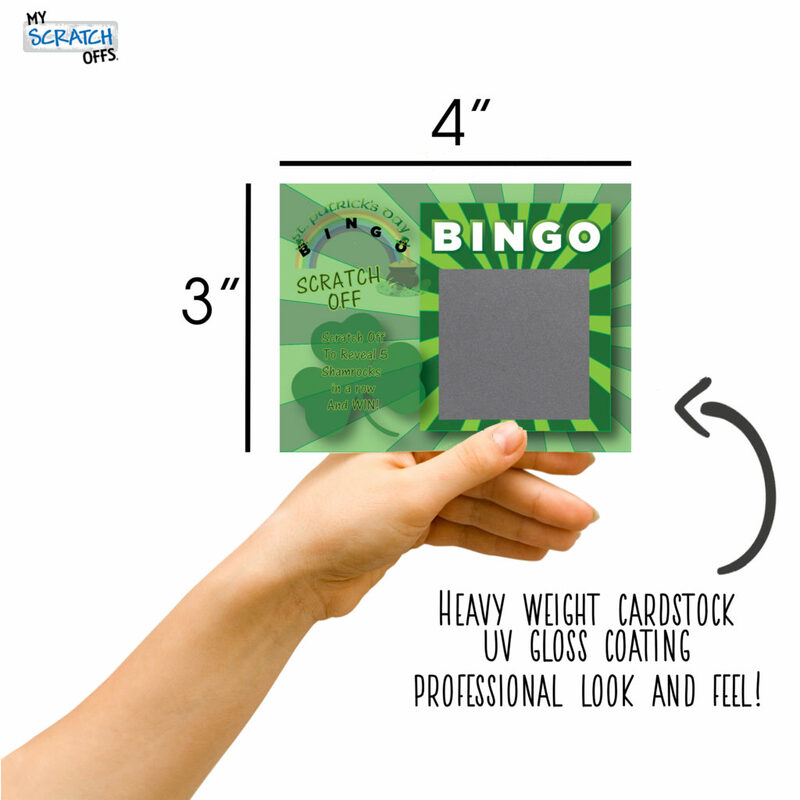 To play, simply hand everyone a card and tell them to scratch off the silver film from the bingo sheet. After everyone has revealed their board, they can see if they got lucky or not! Only 2 people out of 26 can win, making it the perfect giveaway activity to get guests excited for some St. Patrick’s Day prizes and toys. 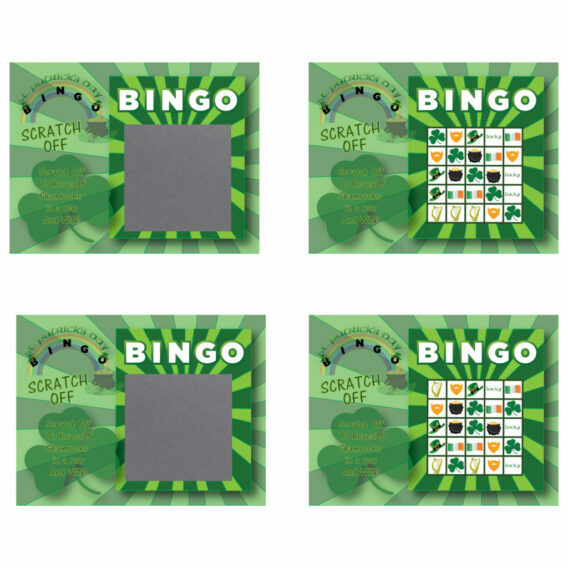 BETTER THAN ORDINARY BINGO: Unlike ordinary bingo that takes up a lot of time and requires everyone to sit down and be quiet, our bingo scratch-off game allows your guests to socialize and play at the same time. You also don’t need tons of chips or other supplies to cover the boxes. All you need is a scratcher tool to scratch-off the silver film with. Makes a great party favor! 26 CARDS, 2 WINNERS: Each St. Patty’s Day card is a fanciful green color and has a clover where simple instructions are given. On the back, there are more detailed instructions so that each participant will know exactly what is happening even if they arrive late to the event. When they find the shamrocks in a row they’ll know they’ve won some fun green party accessories. 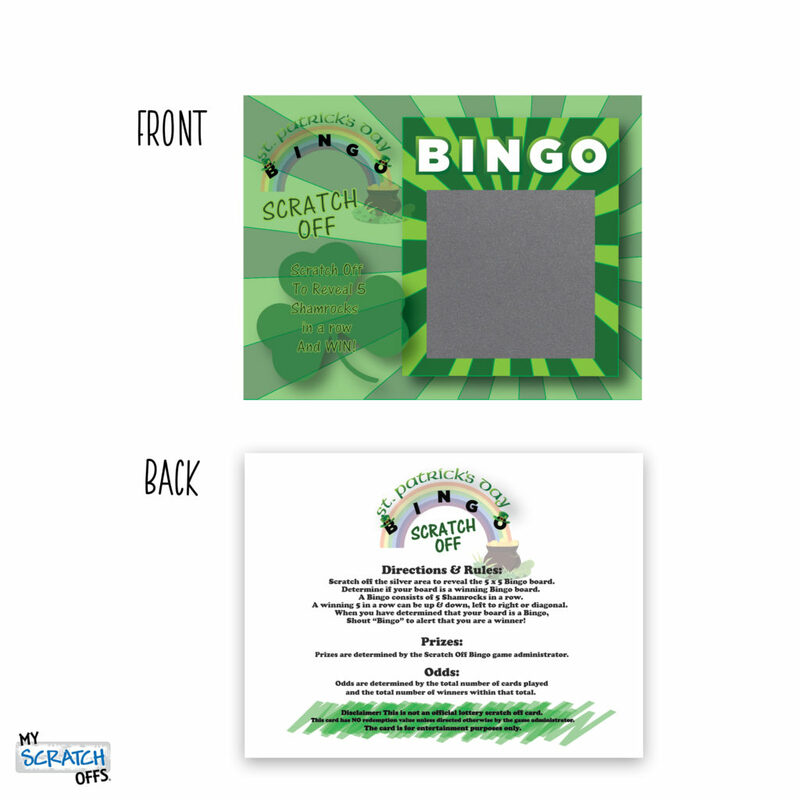 MY SCRATCH-OFFS QUALITY: At My Scratch Offs, we pride ourselves in making quality products that can be used at class parties, family get-togethers, or teen events. Each card is 3” x 4” and is professionally printed in the USA on high-gloss paper. We also have scratch-offs and lottery tickets for Valentine’s Day, gender reveal parties, classroom events, wedding favors, holiday parties, and more!